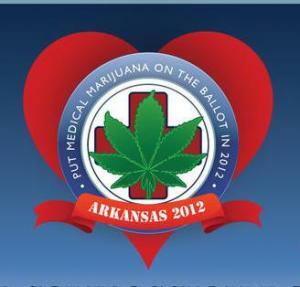 An Arkansas initiative to legalize medical marijuana appears likely to qualify for the November ballot after proponents handed in an additional 74,000 signatures last Monday. The group, Arkansans for Compassionate Care, needs 62,507 valid voter signatures to qualify and already has more than 36,000 qualified from an earlier signature hand-in. That means only about 26,000 of the 74,000 signatures handed in Monday need to be found valid for the initiative to qualify for the ballot. Signature gathering campaigns typically see somewhere between a quarter and a third of signatures handed in invalidated, so the Arkansas initiative would appear to be well-placed to make the November ballot. Initiative proponents suffered an unusually high invalidation rate of more than 50% with their first hand-in, but the group's treasurer, Melissa Fults, told the Associated Press they had learned more about the process after handing in its first batch of signatures. For the second round of signature gathering, the group made sure volunteers and paid canvassers were carefully checking that signees were indeed registered to vote. "I don't think there's much of a chance we won't" qualify for the ballot, Fults said. The new batch of signatures must now be verified by the secretary of state's office. It had 10 days from last Monday to rule on whether the initiative qualifies. The Arkansas Medical Marijuana Act would allow patients suffering from specified diseases or medical conditions to use marijuana with a doctor's recommendation. It envisions a system of state-licensed nonprofit dispensaries, and would allow patients or their caregivers to grow their own only if they are not within five miles of a dispensary. In that case, patients could grow up to six flowering plants. Patients could possess up to 2 ½ ounces of marijuana. Smart people they've got in Arkansas . . . who's the inbreeders now, Oklahoma? Sweet!! I hope it gets on there and gets passed. Hopefully the have a clause where if a new dispensary pops up within 6 miles of a patient who is already growing's home that they are allowed to continue to grow. That would be devastating as a patient to invest time and money into growing your own medicine only to have to cut it down because someone with money bought property near your house! God bless all of you. As a recently diagnosed cancer patient, you can bet I will be urging everyone I see to vote for the bill. Thank you so much for all you have done. I did my part, and signed the petition. I will continue to do my part, and vote for the prop. I will actively try and get out the vote as well. Thanks for all the work ya'll have done, to make this happen. Estimates show that marijuana is America’s number one cash crop. However, marijuana remains untaxed. This is a new source of income for our nation, an income we desperately need. Over 500 of the nation’s top economic professors have shared their opinion in supporting the removing the prohibition and imposing the taxation and regulation of marijuana as a way to slow the federal deficit. Ending marijuana prohibition would save the US $7.7 BILLION annually. That is nearly as much as Congress’ proposed Budget Control Act. Think of the jobs it would create, the court time I would save and the jail space it would free up for actual criminals. Sign the petition below. Also, create a group, this will connect every member directly to their elected officials. This article has good title with good description. toplevelseoconsultation I’ve been absent for a while, but now I remember why I used to love this website. Thanks, I will try and check back more often. toplevelseoconsultation How frequently you update your web site? Thanks combination of suitable and useful information and well-written sentences that will certainly entice your sense. highprbacklinkbuilder There are so multiple comments here that are really entertaining and conducive to me thanks for sharing a link especially for sharing this blog.